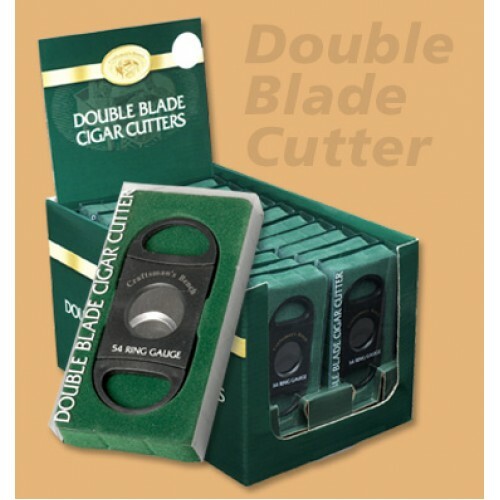 With its custom dual blade construction, the Craftsman’s Bench Double Blade Cigar Cutter is designed for equal pressure to be applied to both sides of the cigar. The result is the cleanest cut possible to provide a smoother, more even flow of smoke. Extremely affordable and practical, this cutter is designed to accommodate cigars up to 54-ring gauge.